In the previous post, I set up Spark in local mode for testing purpose. In this post, I will set up Spark in the standalone cluster mode. Create 3 identical VMs by following the previous local mode setup (Or create 2 more if one is already created). The spark directory needs to be on the same location (/usr/local/spark/ in this post) across all nodes. 159.89.9.67 and 167.99.130.96 are the IP addresses of my two newly created VMs. By default, the IPs are public and no firewall is set up. Give the two slave nodes hostnames by append the following lines to /etc/hosts. Add the list of worker hostnames, each on a separate line. When a salve node connects to master, it requires the address of the master node along with the port number. By default, the host name is used. Slave nodes can not use the hostname to connect the master node. The hostname needs to be changed to IP address so that slave nodes can connect to. 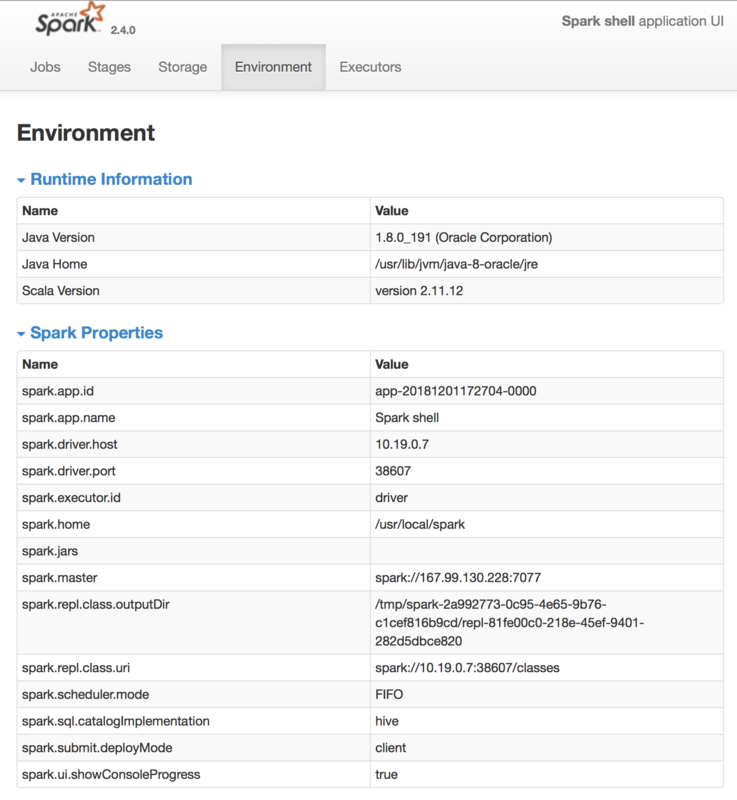 This can be configured in $SPARK_HOME/conf/spark-env.sh file. There is a spark-env.sh.template file. You can rename that file to "spark-env.sh". Edit the spark-env.sh file and add the SPARK_MASTER_HOST variable by adding the following line at the end of the file. Replace the IP address below with your IP address. View your IP address using the hostname -I command. 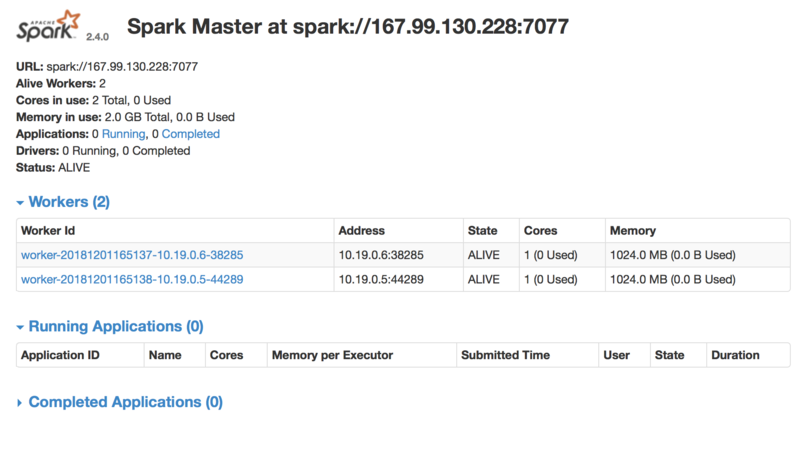 Once master is started, spark starts a master web UI. It's default URL is: http://youipaddress:8080. As shown in the snapshot, the web UI shows the master and workers. I have 2 worker nodes as expected. The standalone cluster is now ready to accept jobs. We can test it using spark-shell. The start-slave.sh script starts a slave node using the given master URI. This script needs to be run on the slave node (not on the master node, unless you want a master to be also a slave node) that is to be added to the cluster. There are 3 worker nodes now in the cluster.